The Trust, a NZ registered charity, started in 2013. Our patron is Helen Clark, Prime Minister of New Zealand from 1999 to 2008, and Administrator of the United Nations Development Programme from 2009 to 2017. Our trustees are volunteers who live locally and are passionate about conservation. 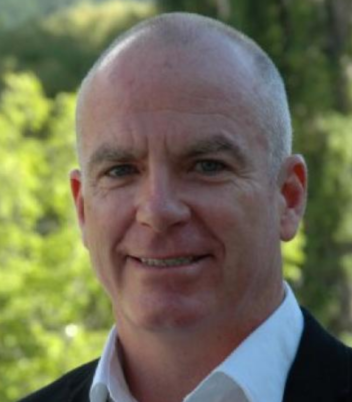 Noel has lived in Queenstown with his family for twelve years, the past eight as General Manager at Ultimate Hikes. A West Coaster at heart, with a background in the building and project management industry, he also has a keen interest in outdoors adventuring - tramping, hunting and participating in multi sports events. Noel has a keen sense of the tourism industry especially operating responsible tourism activities in and around some of our national parks. He works closely with the Department of Conservation and other tourism operators managing guided walking activities on the Milford and Routeburn Tracks. He is very aware of the privilege of showcasing the habitats and wonders of this country’s natural landscapes and wildlife to people from New Zealand and around the world. Geoff is the trust's part-time executive officer who moved to Queenstown in 2016 after taking early retirement from his career as a hospital doctor. He and his wife emigrated to New Zealand from the UK in 1997. They have been fortunate to travel to many parts of the world, focussing on wildernesses and wildlife conservation. He is a keen birder, finding them fascinating and wonderful creatures. A keen conservationist, Andrew comes from a background of biosciences and natural history filmmaking. Since 2008 he has been manager of Te Kakano Aotearoa native plant nursery - a community initiative to restore habitats around Lake Wanaka. He has also helped DOC with rodent control in the Dart Valley and is active in Forest & Bird/DOC's predator control programme in the Makarora to Haast area. 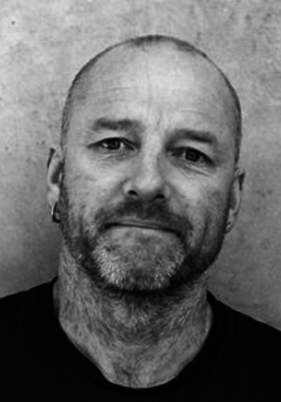 Tim is a brand consultant, graphic designer and creative from Hastings in the UK. After graduating from DeMontford University he spent five years working for a specialist issue and community-based design agency. After traveling extensively in Europe and Asia he discovered the treasures of New Zealand in 1996. In 1999 he launched Fluid Visual Communications, a dedicated design and brand management agency in Queenstown. He is co-owner and publisher of The Source (the town's longest serving events and entertainment guide) and the Front Room Gallery, a community arts space for local artists to show their work publicly. He focuses on community engagement, is a founding member and board member of the Queenstown Coastguard unit and a fully qualified search and rescue skipper. He lives in Sunshine Bay with his partner Kirsten, both proud to call Queenstown their home. Helen has spent more than 20 years in and around the Mt Aspiring National Park, predominantly in the Routeburn and Dart areas, both tramping and working in the biodiversity field for the Department of Conservation. 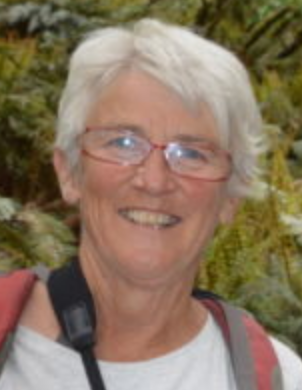 She has knowledge and a huge appreciation of local fauna and flora, along with a dedication to help maintain and restore the birdsong of the Routeburn and Dart. Living in Glenorchy and teaching at Glenorchy School, she is keen to promote the education of both children and adults to understand the uniqueness and the plight of the local wildlife, and how individuals can help to protect them. 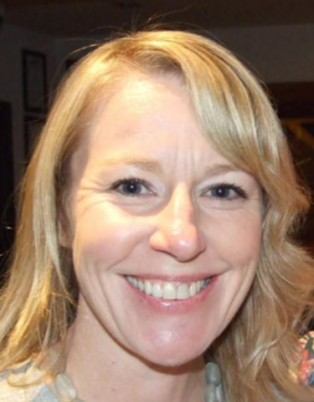 From the UK, Amanda has been in Queenstown for over 23 years after escaping corporate London. In 1984, with a degree in Geography, she worked for The Crown Estate Office in the finance department; after later winning a bursary she qualified as a Management Accountant. A six month working holiday in Australia started the travel bug; after returning to the UK for five years and meeting her future husband, the time came to do something different. New Zealand beckoned. Amanda and David have owned and run Nomad Safaris tour company since 1994. A keen advocate and practitioner of sustainability and conservation, projects include Wilding Pine control and reinvigorating the New Zealand Gold Panning Championships. The RDWT adds another dimension by focussing on fauna in addition to flora and geology. 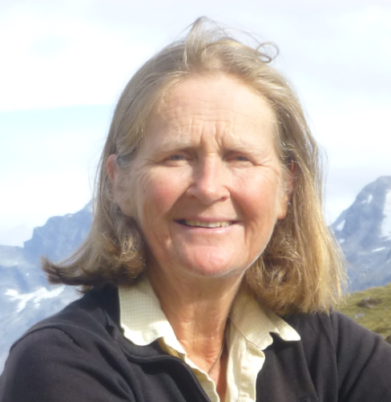 Amanda has farmed in Glenorchy for 35 years and has enjoyed exploring the surrounding hills with family and friends. RDWT is a great opportunity to help make a difference to local biodiversity and contribute towards Predator Free NZ. Originally from Suffolk in England, she graduated with a degree in Geography and set off to see the world, eventually ending up in Glenorchy. She works on the farm where the focus is on living within the constraints of the environment. She is involved in the local community and keen to see RDWT thrive so that future generations can still hear deafening birdsong on the mainland. Katherine represents Ngai Tahu Tourism & Dart River Jet. She was born & bred in the Mainland/Te Waipounamu. Her interest in birdlife grew from an early age as she patiently watched endangered black stilts hatch in incubators in Twizel, the town where she grew up. After travelling extensively she settled in her own piece of paradise near Glenorchy, overlooking Mt Aspring National Park. Katherine is passionate about the area and retaining the birdsong in it for our children's children. From California, KJ moved to Queenstown in 1987 and was an original Jump Master when AJ Hackett Bungy opened in 1988; he also worked with the government to establish a Code of Practice for bungy jumping. He has organized mountain bike events locally and nationally, including the Mt. Alfred Challenge, raising funds for the Paradise Trust. 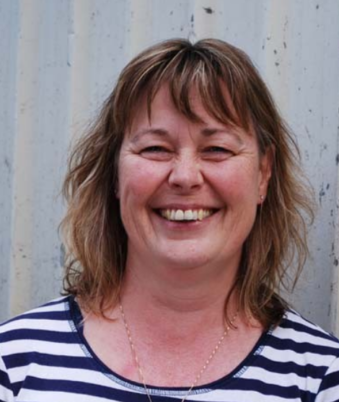 KJ is executive manager of Film Otago Southland - a regional film office that liaises with the industry, government, and community. He is on the board of the AFCI (Association of Film Commissioners International) and chairs the Digital Media programme at the Southern Institute of Technology. He is a keen outdoorsman and lover of nature. Geoff is the Operations Manager at the Department of Conservation office Wakatipu District in Queenstown. A former police officer, he has a Masters in Business Administration from Victoria University, Wellington. 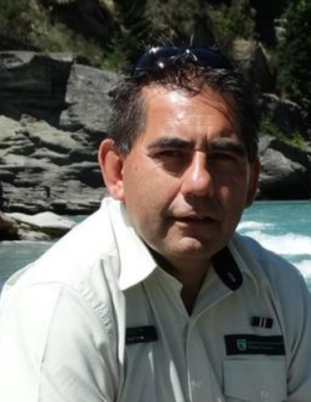 He joined DOC in 2012 as National Compliance & Liaison Manager in Wellington and then became Operations Manager in Queenstown in December 2015, having oversight of DOC's operations in the Wakatipu basin. Of Taranaki Iwi descent, born in Hawera, he moved south after 40 years working in the capital. For Geoff, his Norwegian partner and their three children, tramping, biking, kayaking and snow-sports are important recreational pursuits.